M48 is giving you exactly what you've been waiting for. 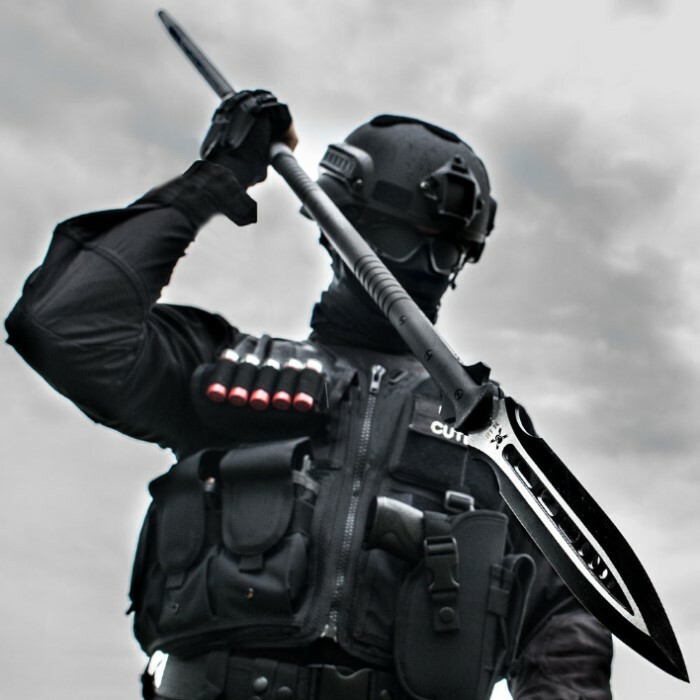 This Super Spear is a mighty 64 5/8" in overall length and is by far the longest tactical spear you'll find anywhere. 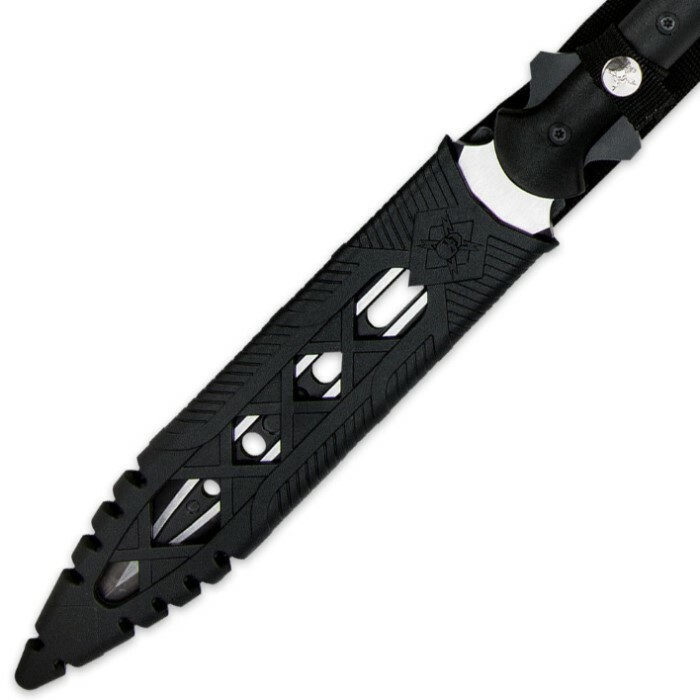 It has a 10" 2Cr13 cast stainless steel blade that has a black oxide coating and satin finish. 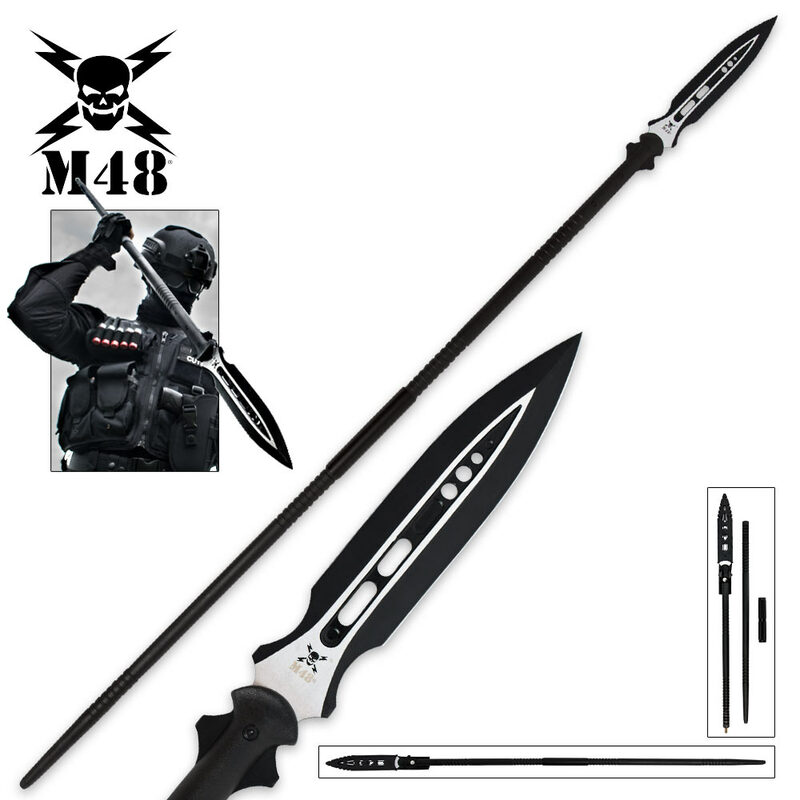 The spear head is attached to a 30% fiberglass reinforced nylon handle with a reinforced aluminum shaft. Molded grooves in the handle give you a completely secure grip. This magnificent spear disassembles into two pieces for easy transport and storage. A steel sleeve secures the two sections into a rock solid handle when assembled. A tough TPR sheath completes the package.